Beyond graduating from the same Catholic high school in 1969, Kenny and Charlie did not have much in common. They never took a class together and did not have the same friends. They are different races, now practice different religions and live on opposite sides of the country. Neither man could have predicted that nearly five decades later, they would be as close as brothers after Charlie’s kidney saved Kenny’s life. Kenny was living abroad eight years ago when he was misdiagnosed with a neurological disorder. The treatments he received caused infections that damaged his kidneys, leaving him on dialysis for two years until a kidney transplant became his only hope for survival. After returning to the U.S., Kenny struggled with knowing that his wait for a deceased donor kidney would be long, but did not feel comfortable asking someone for a kidney. With the help and encouragement of a dear friend, Kenny created a letter seeking a living kidney donor and sent it to the people in his life, including the listserv of his high school’s graduating class. Charlie responded almost immediately offering to help — even though he needed to look up Kenny’s picture in their yearbook to figure out who he was. 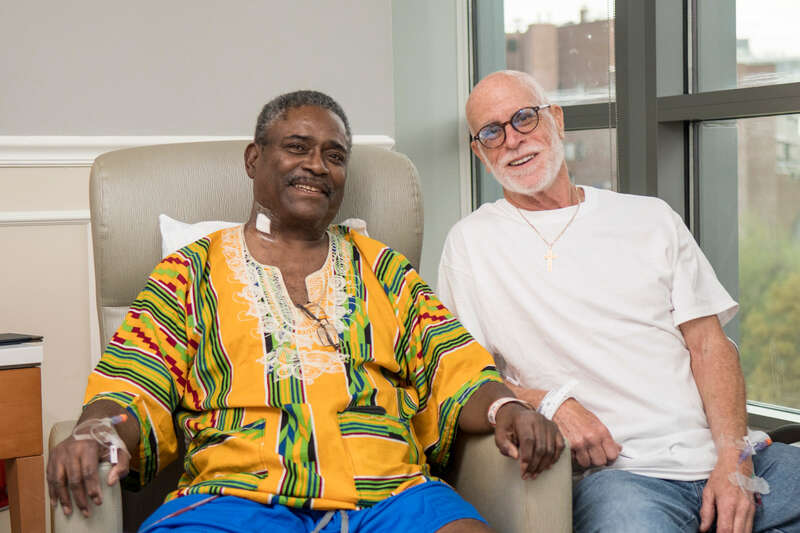 After Charlie was confirmed as a match, he purchased a plane ticket, flew across the country to reunite with Kenny and proceeded with the kidney donation surgery a few days later without fear or reservation. The surgery was a success, and Kenny began showing improvement almost immediately. Kenny gained much more than a new kidney from the experience, however. He and Charlie have since developed a deep friendship.